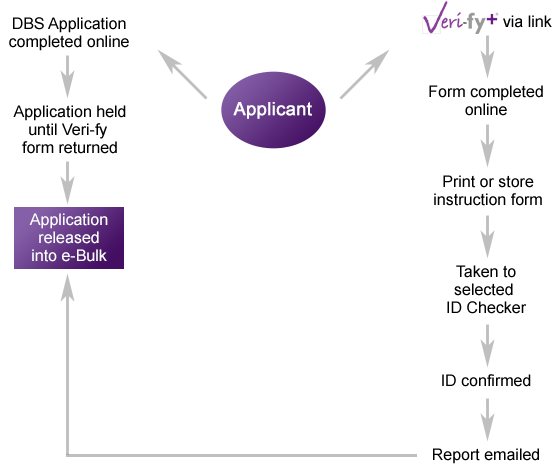 Veri-fy , the next generation service from Veri-fy is designed to work with Organisations submitting DBS disclosure applications both on paper and via E-bulk. Instead of sending paper-based Veri-fy forms applicants are sent an http: link via an email or directed to a page on the Organisation's website. 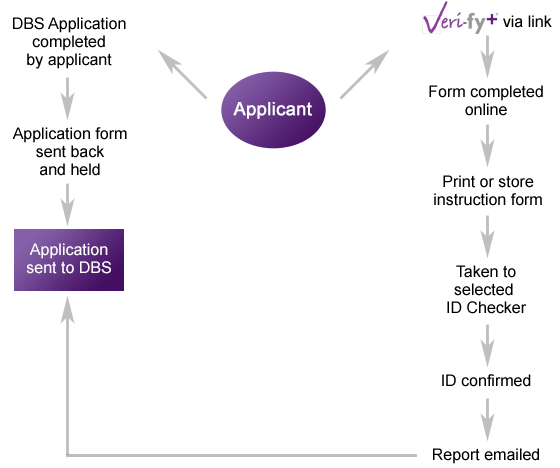 Having filled in their DBS application either on line through an e-bulk integrated system or on paper, the applicant then completes the Veri-fy form online. The applicant then chooses a person to confirm their identity from a list of approved by the Organisation. The applicant's identity and address are verified as now. The person confirming these completes an online form accessed via the Veri-fy website. A report is emailed to the Organisation. This includes details of the documents produced and a photograph of the applicant if requested. Using Veri-fy cost no more than the existing Veri-fy service but saves postage costs and allows the applicant immediate access to the service.